What Does INB4 Actually Mean? INB4 isn't an abbreviation you'll see just anywhere online. 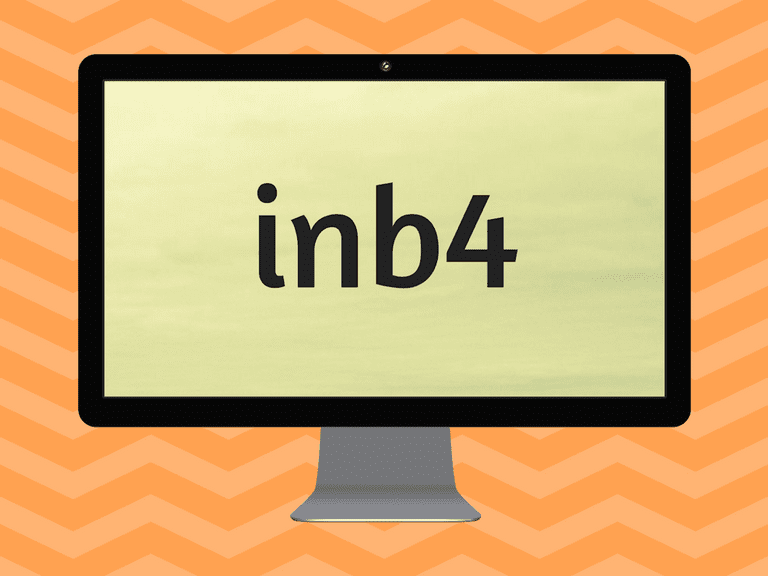 In fact, unless you're a pretty active member (or at least a lurker) of a relatively popular online message board, chances are you won't ever have to question what INB4 means. But if you do, here's what you need to know about it. That doesn't explain much, and that's because there's a certain way to use INB4 properly online. You can't exactly just stick it anywhere in a sentence to replace the words "in before" and hope that everyone will know exactly what you mean when you post it on social media. First things first: INB4 is always used as part of a conversation, typically as a reply to somebody else. This is why it's such a big trend on online message boards since each topic posted by a user is meant to start a discussion, displaying a thread of replies from other users below it. Message board members typically use INB4 followed by a word or comment to predict an obvious reply or action that someone else will almost undoubtedly say or do. In other words, when someone types INB4, they're getting that comment "in before" somebody else. It's comparable to the "First" trend seen across various social platforms. Users who coincidentally happen to view their social feeds as soon as a very popular account that they follow posts new content are presented with the opportunity to be the first commenter and will often post the word "First" just to show off before all the other comments start flooding in. INB4 sort of works the same way as "First," but INB4 is always followed by a comment (whereas "First" is the only word users will type so they can post their comment as quickly as possible). Check out some of the examples below to see how INB4 actually works. Example 1: Let's say that a message board user publishes a new topic of discussion that goes against the community rules and guidelines. Maybe there are swear words involved or a link to an inappropriate website. "INB4 the mods delete this"
In this scenario, the user who replies with their INB4 comment is anticipating an action. They may even simply reply with INB4 b&, which is a term many message board members use as an abbreviation for "in before ban," implying that the user who posted the topic will likely be banned. Example 2: Let's say that a message board user starts a new topic about how he came home to find that his dog completely wrecked his computer. He explains the wreckage that he found before asking if it had ever happened to anyone else. In this scenario, the user is anticipating that someone will post an image of the doge meme as a joke. As previously mentioned, INB4 is an abbreviation that's typically used on message boards—especially the ones where a lot of nerds and geeks hang out. Think 4chan, Reddit, YouTube, and boards focused on geeky topics like gaming, computers and information technology. Chances are that if you try to use INB4 on a message board with a community of health enthusiasts, brides to be, foodies or scrapbookers, members won't have any idea what you mean. This is one online abbreviation that has a special place on the web, and geek-centric message boards are pretty much it! What Exactly Does "Bae" Mean? What Does 'TBH' Stand For? What in the World Does RGR Mean? What Does 'TFW' Actually Stand For? What in the World Does 'Shawty' Even Mean? What in the World Does TWSS Mean? What Does LML Stand For?